Original design for this grenade was made by Martin Hale and was introduced in 1915. 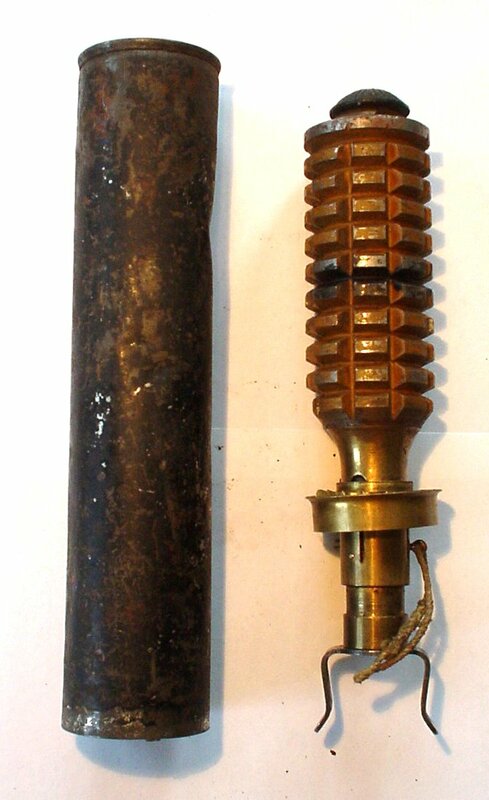 It was made from a cast iron tube, fragmented on the outside. The brass base held the impact fuze on the inside and the launching rod was screwed into the base of it. When launched the setback force releases the impellor which starts to rotate during flight. This frees the striker and will initiate the primer on impact. Photos below © D. Sampson. Left shows Mk1, right is a Mk2.